Message inside: May the love of Our Savior be with you on this day and bless you now and always as you kneel down to pray. 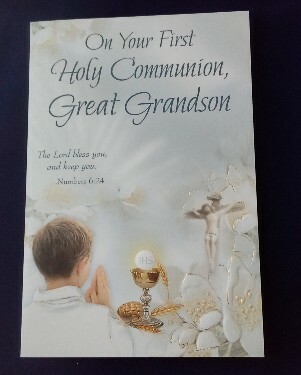 And Great Grandson, since you're loved so much this special prayer is said that He will keep you safely through the years ahead. 4 1/2" x 6 3/4"